beautycenter2014 has no other items for sale. 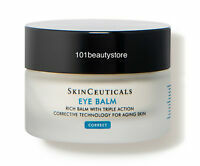 Details about SkinCeuticals Resveratrol B E 30ml /1oz Fast Ship! 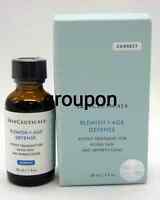 SkinCeuticals Resveratrol B E 30ml /1oz Fast Ship! Resveratrol B E Antioxidant Night Concentrate is a rejuvenating treatment compounded by SkinCeuticals. It is designed to make women’s skin feel and look young, nourishing it with a palette of salutary elements. The well-balanced formula and anti-aging properties of the serum help wipe away the years. This product should be used by gently applying it on the face. This is one of the best antioxidants that I have ever used. Fantastic skin product! I have used Resveratrol for several years and it is typically a light yellowish color. I was very disappointed to find that the entire order of three backbar-sized bottles had oxidized to a point where it was deep orange with a slight odor. I had to throw all of them away. Lesson learned-I will order from the company directly next time. $300 wasted. Thank you! I love this product! Fast and just what I expected!